Attention all sports enthusiasts! This is an event specially for you. 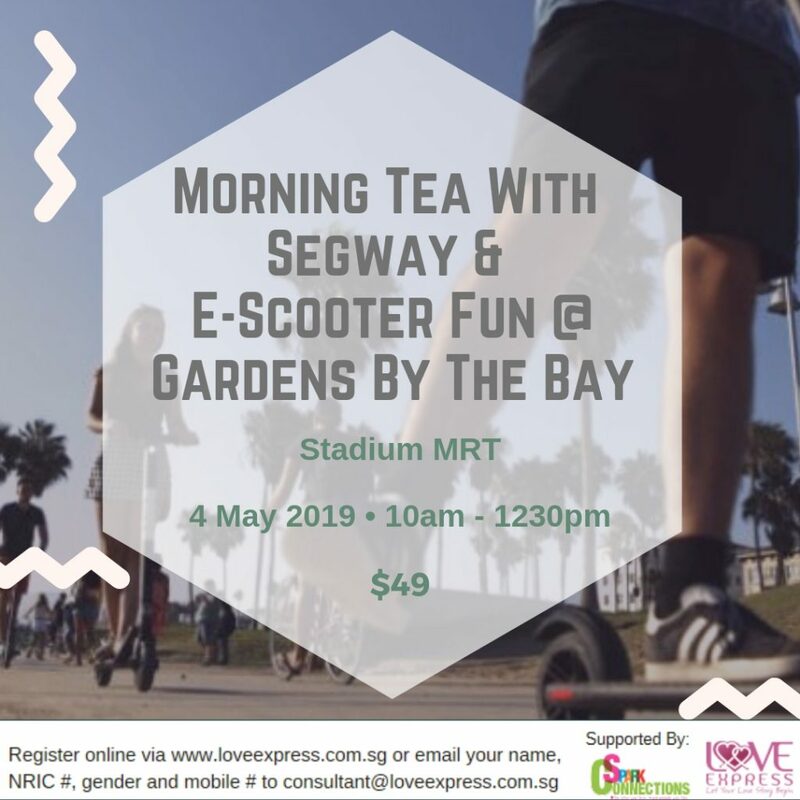 Enjoy a fun morning on an e-scooter or a Segway together with your teams and enjoy a leisurely ride with your new-found friends from Kallang Wave mall all the way to Gardens By The Bay. You will pass through the picturesque Tanjong Rhu area and travel along the east of Marina Bay with the Singapore Flyer and MBS in the background. Thereafter, chill at a café with your friends over a drink. There will be facilitation to promote interactions. Price includes a 1 hr ride on either the e-scooter or Segway mini-Pro; facilitation and secret matching (if there is a mutual match, contacts will be released to both participants).